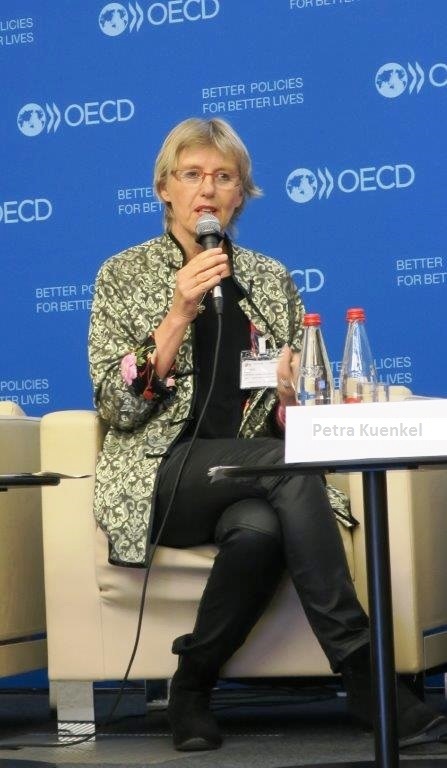 Dr. Petra Kuenkel, full member of the International Club of Rome, is a leading strategic advisor to pioneering international multi-stakeholder initiatives that tackle common goods and sustainability issues. As the Founder and Executive Director of the Collective Leadership Institute, she promotes the scaling-up of global transformation and system theory awareness, as well as leadership and collaboration skills for people from the private sector, public sector, and civil society. She is a pioneering thinker on re-inventing leadership as a collective competence and has a profound background in leadership development and in conceptualizing dialogic change as an approach to effective change leadership in complex systems. She fosters mindset change among decision-makers and has developed a methodology for invigorating human competences that support result-oriented and value-based collaboration for the common good. 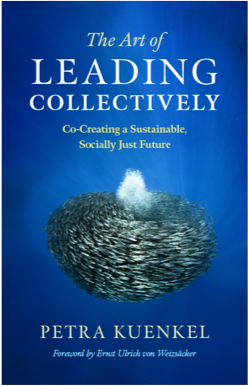 Dr. Petra Kuenkel is the author of the ground-breaking book “The Art of Leading Collectively”, published by Chelsea Green Publishing in the US. "Patterns of Aliveness – an Emerging Theory for Stewarding Sustainability Transformation in the Era of the Anthropocene"
On the 20th March 2018, Dr. Petra Kuenkel gave her inspirational speech “Patterns of Aliveness – an Emerging Theory for Stewarding Sustainability Transformation in the Era of the Anthropocene” at the IASS Potsdam – Institut for Advanced Sustainability Studies e.V. 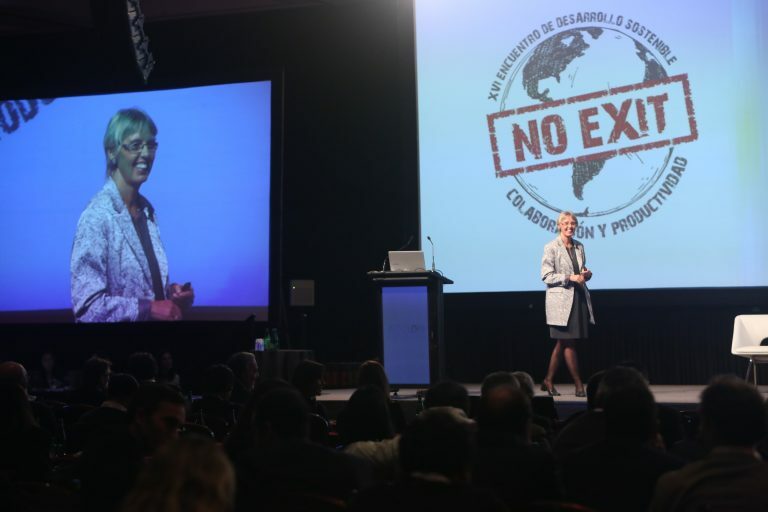 Every year, ACCIÓN holds a seminar on the latest trends in sustainability and related topics, which is considered the country’s most influential event in the field, attended by more than 1,000 people and broadcast via online streaming to many more. Collaboration is a powerful transformative force for increasing productivity and efficiency for resource use. Effective collaboration is the product of a constructive relationship between social actors and economic agents. Currently, thanks to the contributions of new technologies and people’s growing desire to participate, effective collaboration allows for the optimization of resource use to achieve further growth, while also finding a balance between this growth, social development, and protection of the environment. ACCIÓN’s belief is that the productivity agenda will be credible, appealing, and sustainable if economic, political, and social leaders are capable of adopting it under the logic of collaboration. This is affirmed by goal 17 of the 2030 Agenda for Sustainable Development, which is aimed at creating partnerships and collaborating with other actors in order to achieve the other 16 goals that address problems that are specific to humanity and the planet. This is not an isolated vision. The voices of experts, academics, entrepreneurs, and leaders in society and the environment are coming forth to give an account of their experiences in this field, and to advocate for the pathway of collaboration as the only way to face the world’s current challenges. 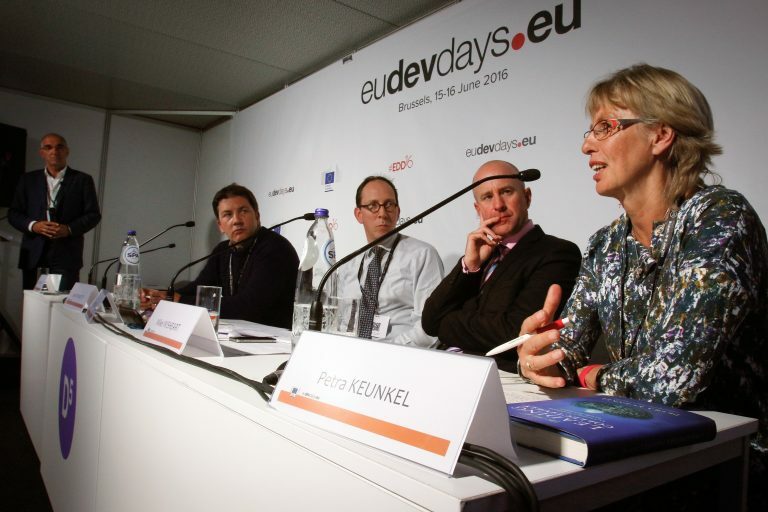 At the WIN Conference 2015 in Rome, Petra Künkel helped the audience gain a powerful understanding of how to work in a multi-stakeholder environment in a more ethical and transparent way with her speech “How can we shift the way we co-create?”. Do you need a passionate Keynote Speaker for your Sustainability, CSR, or Leadership Event? Are you planning a conference or high level meeting on improving collaboration among multiple stakeholders and need inspring input? Find inspiration in Dr. Petra Kuenkel’s mind-changing and empowering speeches. Request available times from Alina Gruen: alina.gruen[at]collectiveleadership.com.